By popular demand, last night I carefully documented the process of chopping and cooking the rainbow chard I received this week. “But PastaQueen,” you might say. “Those don’t look like your hands.” And I would say, “You think I don’t know the back of my hands like the back of my hand?” But I would also agree that, yes, those are not my hands. After feeling somewhat intimidated by staring at the chard on the bottom shelf of my fridge for several days, I decided to hand this project off to an expert, namely my mother. As my mother commented last night, she has greatly neglected my culinary education. 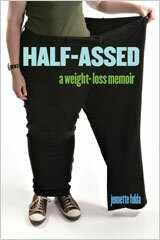 She grew up in a small town in southern Indiana where they had a vegetable garden in the back yard. Eventually her parents bought their own farm and the vegetable patch grew to be larger than the house. Because of this, she came to be very experienced in the art of washing and properly chopping vegetables, not to mention canning, peeling, and other lost art forms. 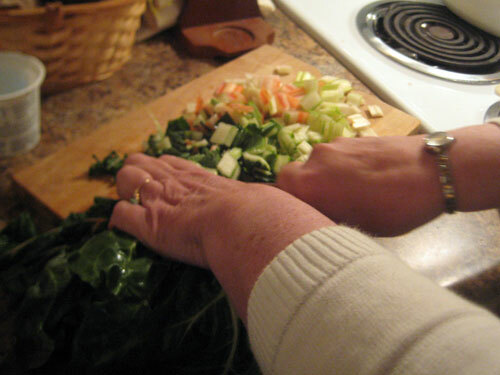 So I gave her the chard and she worked her magic, following the instructions my kind readers left in the comments of the chard entry. She chopped it up and then sautéed it in olive oil and garlic, tossing the thick ends in first to be cooked longer. The final result was rather tasty, however I didn’t think it was all that different from the bok choy I tried earlier in the year. 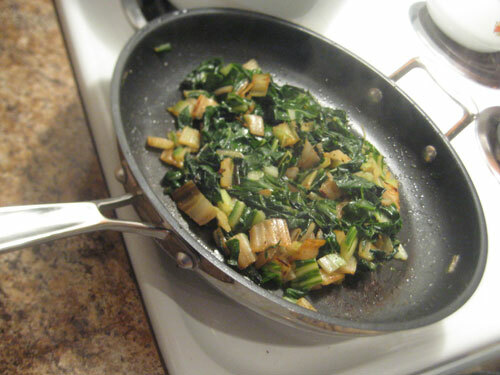 The chard itself acted mostly as a delivery device for the oil and garlic. The leafy greens provided some flavor, but mostly provided texture and bulk. I don’t think one leafy green is all that different from another leafy green in most cases. Yes, dear readers, the General Mills International Coffees Orange Cappuccino is back! 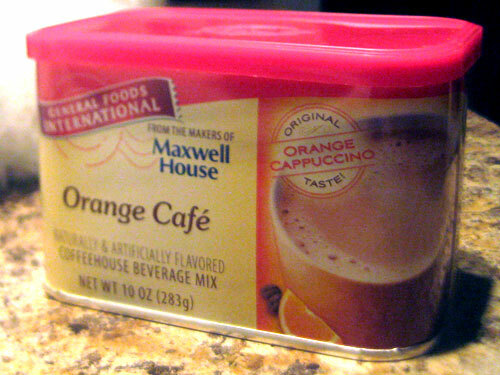 It’s changed its name to Orange Café, but as the label says, it’s the same recipe. I posted last year about my mother’s despair when the coffee was discontinued. A few commenters let me know that the coffee was coming back, and one even spotted it at a Target two weeks ago. The coffee has finally made its way to Indianapolis, and my mother is happily sipping her favorite drink in the mornings again. 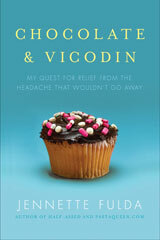 What a great resource your mother is, and, frankly, is there anything better than having your mother cook for you? I agree that the greens are mostly a delivery vehicle for super vitamins as well as flavors. I love them all as long as they’re not too bitter. Plus they have like zero calories! I love frozen mustard greens in my morning smoothie b/c they give it a little zing! So exciting that you’re getting to try new foods! I’m trying to learn to like greens. I never had them as a child. I was raised almost entirely on Kraft Macaroni & Cheese. Beet tops sauteed with olive oil, onion and garlic are quite good. Well, good in a sauteed greens sort of way. 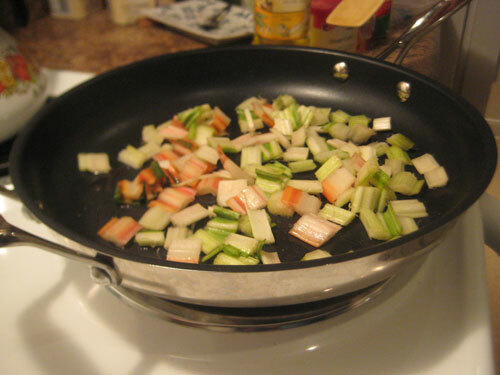 Adding something like sunflower nuts, raisins or cranberries can jazz up sauteed greens. You are right, greens are all pretty similar. Some are little more bitter or a little lighter but they are greens. I second Ari’s advice on adding dried cranberries to greens…I tried it recently…nice constrast. I also like to add hot sauce to greens. Did you try out the Dill at all? Oh my, orange cappuccino? I must look for that IMMEDIATELY!!! I was wondering if those hands were yours…glad you clarified that! I’m trying to imagine what orange cappuchino would taste like – is there sugar in it? I think that the more you eat greens, and the more you learn how to cook them in different ways, you can begin to appreciate the differences between them. Kale has a different taste than baby spinach, for example. I used to be the kid stuffing my spinach in my napkin at the dinner table, but I love a lot of greens now. Ohh yummy, gotta try both! ORANGE CAPPUCHINO will be in “your area”. I emailed and asked where it was and the reply was they did not know. I emailed back and asked where it was and if it was not close I wanted to order it from them. I also asked if a chain had it then I could contact them. NO local dealer is going to handle it because 1. some stuck with the Orange SPice and 2. since that did not sell, cutting back. That looks really good. I have loved every green I have tried so I need to try this one too. Though I will have to eat it alone as my hubby does not like the greens once they have been cooked…he’s a salad type of man.